- to make an upload of a photo report to the portal PassengerEye.com to the account. 1. 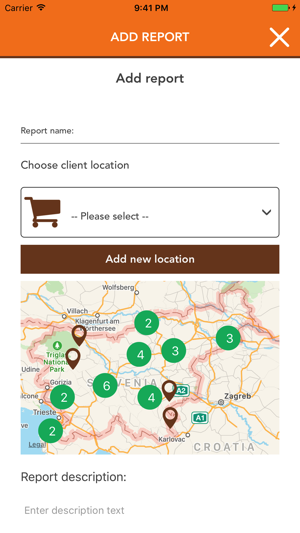 When the salesman logs on to the mobile app PassengerEye, he chooses first an account, with which he has a contract, this requires an internet connection. 2. 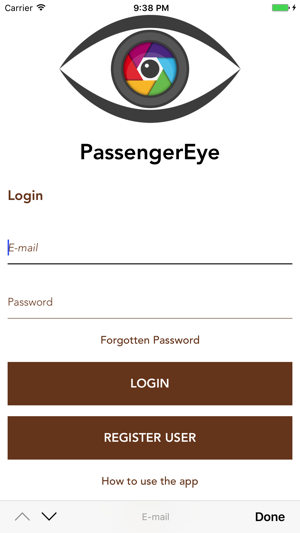 When logging on, the mobile application PassengerEye connects to the contract account to the portal https://passengereye.com and reports time and location to it. 3. The salesman makes and uploads photo reports with the help of the mobile app PassengerEye. 4. 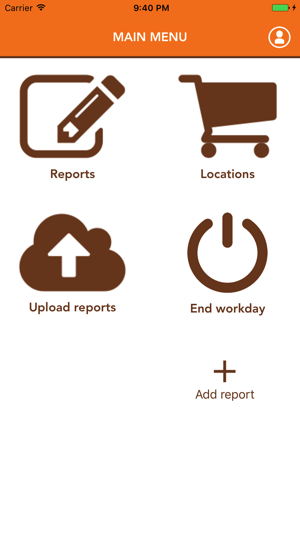 After the end of photo reporting and traveling the salesman logs out of the mobile application and thereby informs the contract account about spent time and mileage allowance. - time spent by each salesman on a given day. 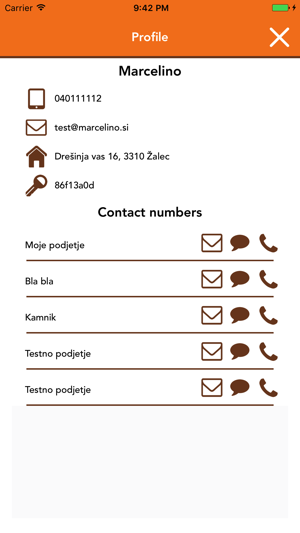 If a user does not wish to register an account on https://passengereye.com, he can send the PIN or API KEY of his mobile applications to the e-mail app@marcelino.si and he will receive a contract with a test account. The test account or the test company functions without restrictions. 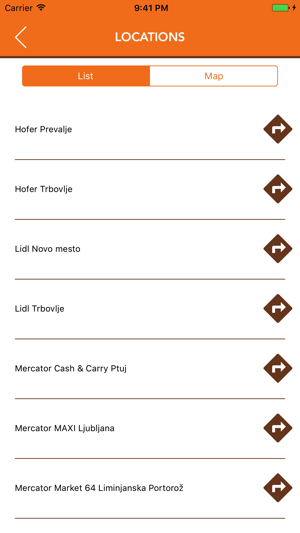 - various reports on the portal (number of photo reports per salesman and per day, etc. ).